I’ve been proudly singing the praises of Prince Edward Island native Whitney Rose to anyone that will listen since I first saw her perform in late 2013. Unfortunately for me – but fortunately for the always charming Rose – one of my most favourite musical secrets isn’t going to remain that way for long if South Texas Suite is any indication. 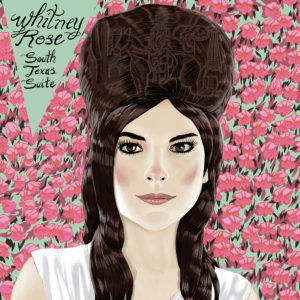 If new country music fails to resonate with you on a deeper level – and let’s be frank, it’s about as shallow as you can get nowadays – Whitney Rose has your number. Get on this train before it leaves the station. You won’t regret your decision.